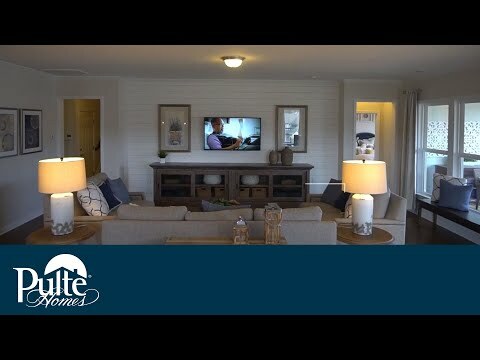 Discover Pulte's collection of open living home designs from ranch homes with room for entertainment to 2 story living with room for growing and extended families. Enjoy easy access to the White Oak Creek Greenway and the state-of-the-art Green Level High School, plus neighborhood amenities. Enjoy a pool with children's wading area, outdoor grilling stations and fire pit, indoor and outdoor fitness, playgrounds and playfields. The life you want to live is waiting for you at Greenmoor. Explore this community and see for yourself. Abbeyville new home design has a flex room for an office or a den with an open layout for the kitchen, café, and gathering room. The Castle Rock’s floorplan with many gathering areas and a private guest suite – plus a gourmet kitchen and formal dining room – inspire you to entertain.